A one hour documentary about the making of Metallica’s eponymous fifth album ‘Metallica’ – also known as the Black Album. The album turned the rock genre on its head, and took Metallica from being sell-out arena headlines to stadium fillers on a global scale. Entering at #1 in the US Billboard charts the first week of its release, winning Best Heavy Metal award at the Grammy Awards and having to this date sold over 20 million copies world-wide, the album changed the face of rock/metal forever. At the end of the Justice tour there was a feeling amongst the band and their management that it was time to do something different, time to move in another direction. Lars and James flew up to Vancouver to meet Canadian producer Bob Rock, played him the original demos and so began the next chapter in the Metallica story. Bob and the band went through months of pure artistic and personal hell. As Lars recalls “you gotta understand that at the time we were very young, naïve, very set in our own ways, and nobody fucked with us’. Bob Rock did, and survived. We re-live the anecdotes and minutiae that went into recording this album, and discover how Bob and the band themselves brought the former garage masters screaming into the mainstream. 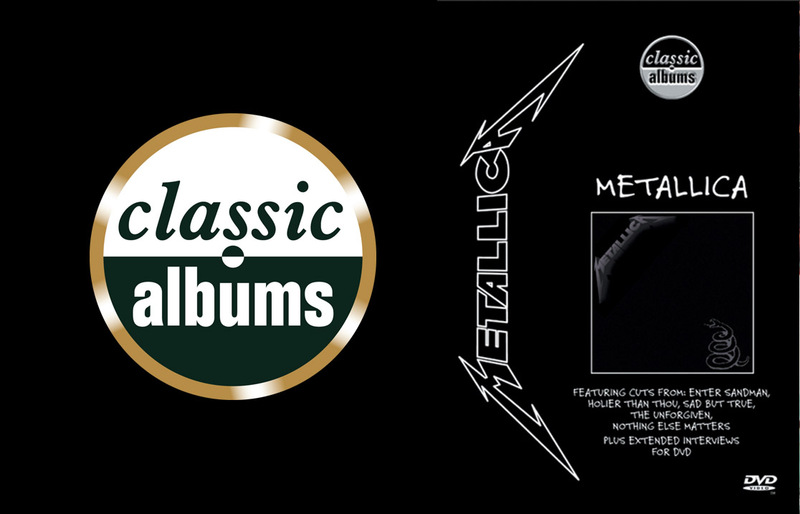 The story of the making of this remarkable album is told here via interviews, archive footage, performance and demo recordings, with contributions from band members James Hetfield, Lars Ulrich, Kirk Hammet and Jason Newsted. Bob Rock reveals how suspicious the band was of him and how he finally broke the ice with James. Michael Kamen, who has an illustrious music career as a composer and collaborator with the leading pop and classical performers of our day, demonstrates and discusses his work on Nothing Else Matters. Featuring the five singles from the Album, Enter Sandman, Sad But True, The Unforgiven, Wherever I May Roam and Nothing Else Matters and the last filmed performance of Metallica with Jason Newsted, this is the compelling story of one of the biggest selling Heavy metal album of all time.